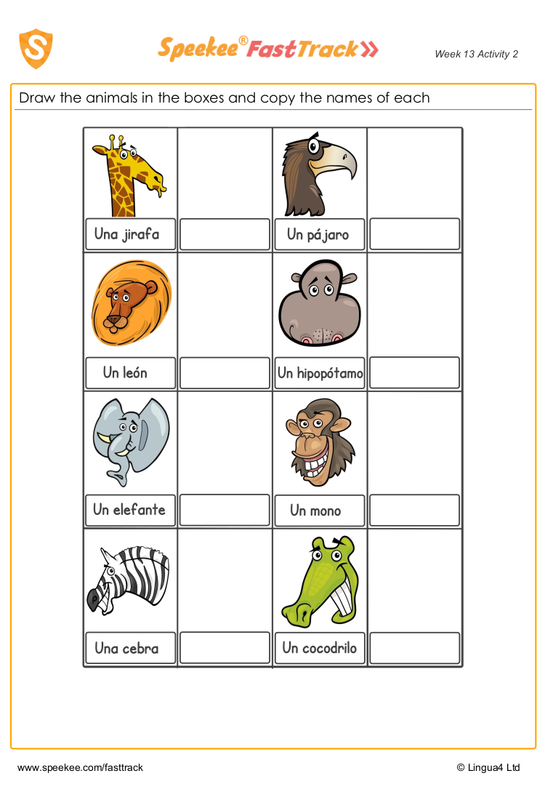 Spanish animal names worksheet. Draw the animals in the boxes and copy the names of each. There are eight animals in total.